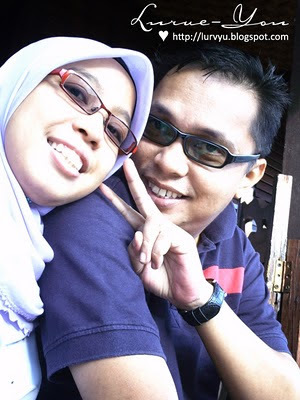 ♥ NAPHYRA ♥: Malacca Trip - A birthday treat for husband (Part I). 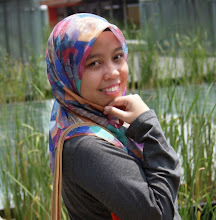 Malacca Trip - A birthday treat for husband (Part I). We complaint about our frustration to their manager. We need the Wi-Fi in our room because I will be working for 4 days and enche nYomoT will have to stay and wait for me. Without the internet, he will be bored waiting for me. Do you know what excuse they gave us? "Maaf. Wi-Fi kami sekarang ade masalah sikit. Website kami kena sambar petir." Ehem.. what a lame excuse! But then, their manager did promise us that they will try to get the Wi-Fi for our room. OK. I keep his words. Then, we went out for a walk. (*Hati panas, so kene jalan2 sejukkan hati..) While walking along the street, we didn't realized that we have reached Banda Hilir, Malacca. Woww~!! It was a very long walk! Almost 2.5 km from the hotel. We were tired, but we enjoyed the walk. (*Konon2 romantik laa.. Tihihi) Luckily we found the way back to the hotel. Pheww~!! I asked for an iron from the receptionist. Me: Excuse me, nnt bole tak tolong hantar kan iron kat bilik 403? R1: Ooo.. mintak maaf, kita mmg x sediakan iron ke bilik. Tapi kita sediakan iron room kat Tingkat 5. R2: Xpe kak, iron room tu dekat je.. keluar dari lift, akak jalan sikit je..
R1: Ohh.. kalo mcm tu, biar saya check dgn housekeeping. Kalo ade iron lebih kita hantar kat bilik akak yer..
H : Ini iron & iron board ye encik. nYomoT : OK. Terima Kasih. H : Tapi check dulu la tapak iron tu sebelum seterika nnt. Kalo dah sudah, call kat bawah. Kita datang ambil balik. * We still didn't get the Wi-Fi in our room. Then enche nYomoT gave their manager a call. We decided to check out and look for other hotel. We were really disappointed with their hospitality. R : We are really sorry for what have happened. But we're delightful to upgrade your room to Executive Suite. nYomoT : Can we access the internet from that room? nYomoT : No, thanks. We will check out tonight. And we checked out from the hotel without knowing where to go..
wowwww. their service sooooo baddddd. haaiishh. mahu nye hangin. aiyo. btw, sweet holidayy ehh. hhikk2. .:padie_eyla:. : mmg bad lg sux! lovelyadibah : tq dear.. tunggu cerita seterusnya. hehe! haha Naza is just well but not sooo well actually..huhu..
nway..kalo faz pon hangin...dalam web bukan main manis lagi...reality hampeh!!! yUmIe : you're very true! Naza? A big NO! Faz : haha! nyomel pon boleyy.. ;) tau xpe faz.. mmg dh hangin satu badan. INDAH KHABAR DARI RUPA..
tyah : huhh.. mmg kakak sakit hati gile. rase cam nak lempang je..seb baik maseh boley bersabar..